AITRICS Research team has published 3 research papers in the International Conference on Machine Learning (ICML), for the second consecutive year. At this well-known summit where some of the best machine learning experts around the world will come together to discuss their new innovative ideas, our researchers will present their study on solving some critical problems that may arise when applying AI techniques to clinical data. Listed below are the three papers that have been accepted for publications. The risks of multiple related diseases are often studied together in a multi-task framework where knowledge transfer between diseases occurs. However, each disease might not be closely related to all of the predictable diseases. In those cases, sharing information with an unrelated task might negatively affect the prediction performance, a phenomenon known as negative transfer. To address this challenge, our researchers proposed Deep Asymmetric Multitask Feature Learning (Deep-AMTFL) that can prevent negative transfer, by allowing asymmetric knowledge transfer between tasks. Many datasets related to medical diagnoses are naturally imbalanced and typically have an inadequate supply of training instances. For example, datasets for heart failure or cerebrovascular diseases are small and imbalanced. When sufficient data is not readily available, the development of a representative prediction algorithm becomes even more difficult due to the unequal distribution between classes. The application of multi-task learning model in this case would only increase the probability of transferring the false information between unrelated diseases. Our Deep AMTFL methodology effectively controls such negative transfer by allowing reliable predictors for the easy tasks (related) to have higher contribution to the feature sharing, while suppressing the influences of unreliable predictors for more difficult (unrelated) tasks. Thus, AITRICS continues to focus on building core AI techniques to overcome the challenges associated with integrating AI into the healthcare industry. ICML is one of the world’s most prestigious machine learning gatherings that highlights studies of emerging machine learning technologies. 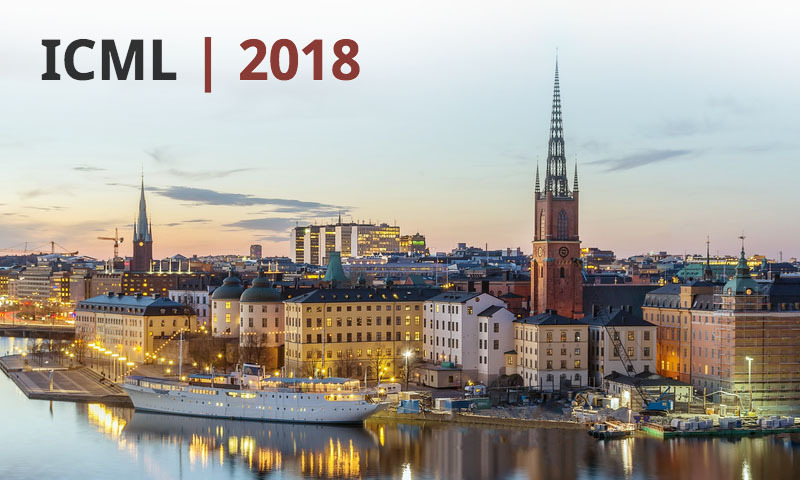 The 35th International Conference on Machine Learning (ICML) 2018, will take place on July 10, 2018 to July 15, 2018 in Stockholm, Sweden.